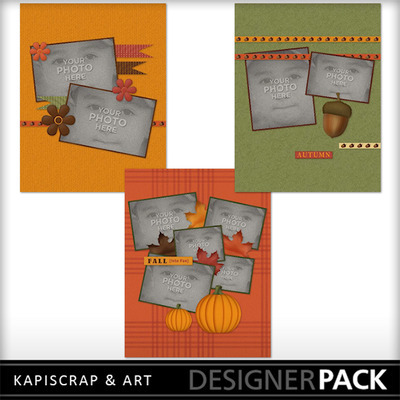 Use this fun fall themed album, to create a professional looking scrapbook, in just a few mouse clicks! Want more control over your creation? No problem! You can easily move, resize or remove elements, text, and more! 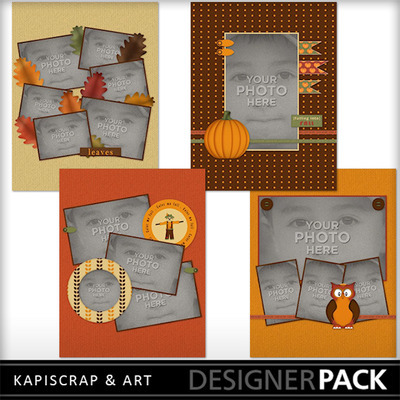 You will enjoy both the quality and the accuracy of each template, as all items and shadows have been placed with precision. Perfect for those who want to scrap, but have too little time! Size page: 8.5 x 11. 7 pages. This album has been made by CT member Creatively Obsessed Designs.